You're lashing out at everyone. You feel angry one minute, helpless the next. You're constantly under the weather. You feel overwhelmed, unmotivated - maybe even depressed. If the above describes you, you might be facing caregiver burnout. Don't ignore the signs. A smile and a bounce in your step are in your control if you make a concerted effort to take care of yourself. Below are suggestions from our experts on how best to avoid the stress and anxiety of caregiver burnout. Follow the suggestions that work best for your situation and personality - you owe it to yourself and your loved one! 1. Get active. Don't neglect your health. According to the American Heart Association keeping your body healthy, helps caregivers stay mentally balanced. You can go to the gym, do some yoga, bike, run or simply walk at a brisk pace. Doing a daily low impact activity, combined with high intensity exercise a few times a week, should help keep you mentally sharp. 2. Eat properly. In times of stress or crises, it's easy to abandon a good diet and veer towards the convenience of caffeine, sugar and fast foods. However, doing so can cause anxiousness, sleep deprivation or depression. A full stomach, filled with nutritious foods will help you stay energized and in good spirits! 3. Get a good night's sleep. Lack of sleep will only add to your stress, anxiety, depression and poor judgement. Do the best you can to sleep well and often. If you can, sleep at home. Read Arianna Huffington's 12 tips for your best sleep ever. 4. Take frequent breaks for yourself. Sitting by your loved one's side 100% of your waking hours is noble, but not necessary. Go for a walk around the block, watch your favorite TV show, grab a bite to eat. You need a few reboots a day - especially in somber situations. 1. Ask for help. Being a caregiver can be all consuming if you let it be. At some point, it's not a one person job. Don't be afraid to ask other family members to pitch in. It's not a strike against you. You can schedule a specific time of day or night for a sibling, spouse or cousin to pitch in. 2. Get respite care. Friends and family can help some of the time, but not all of the time. Sometimes you'll all need a break! 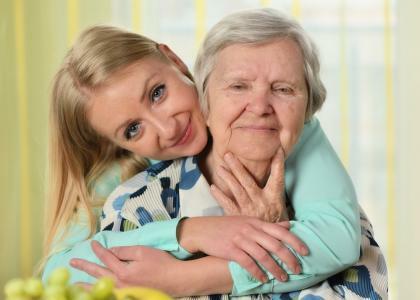 Many community, faith-based and governmental organizations can help fill-in with respite care of all types including in-home care, adult day care, geriatric care managers, senior centers, temporary stays at senior living facilities and volunteers. With dependable respite care providing regularly scheduled relief, you can then pencil in those all important activities to take care of yourself. 2) Social: It may be hard for kids and family to make it to your parents physically, but there's no reason people can't facetime or call throughout the day. It's never been easier to stay in touch. 3) Safety: Fear of falling or getting hurt while alone is a big cause of anxiety for both loved ones and care givers. Compare medical alert systems (in-home, mobile, fall detection, GPS tracking) and get the right one for your situation. 4) Medication: Taking the right medications at the right time is especially difficult for seniors who take a significant number of pills throughout the day. The good news is, there are a host of medication reminders you can explore. See which is best for you. 1. Don't take things personally. Aging parents dealing with isolation, dependence or health ailments can develop anxiety, depression or aggression. They may blame or take their own frustrations out on you. Recognize that it's often the condition talking, not your parents. 2. Join a support group. Whether you need to vent to empathetic ears or you're seeking helpful coping advice, talking with others can be a tremendous emotional and practical resource. 3. Keep a daily journal. Venting can be cathartic. Consider keeping a journal. You'll be able to let out some steam and articulate your frustrations, anger and hurt. You'll also be able to focus on some of the more beautiful and rewarding events that take place when care giving - the spontaneous smile, unexpected thank you, shared laugh or heartfelt hug. Recording those moments can be a source of long term joy.